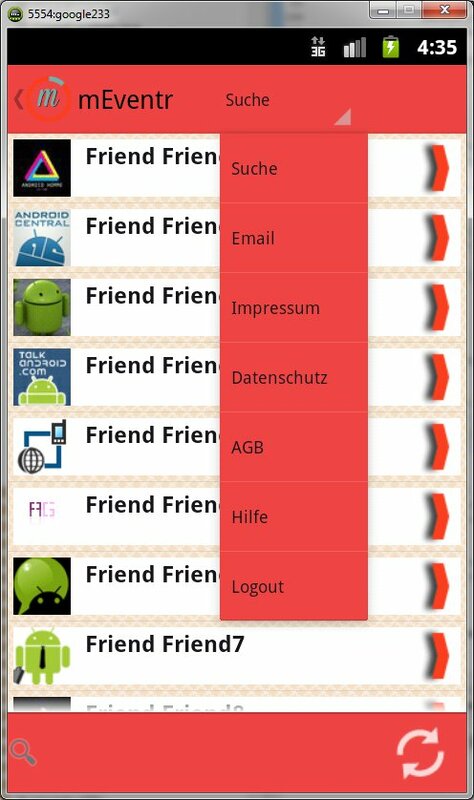 ActionBarSherlock is a framework for Android to implement an ActionBar before Android version 3.0, where there is a native ActionBar. In addition, you can use many functions,even the native ActionBar makes not possible, You can get the best an overview through the installation of the Sample App on an Android device. One difficulty of the framework is in the individualization of design, This is possible without the very difficult Online style generator for ActionBarSherlock. With this amount of time can be save, absolutely to recommend! tested Devices/Android Version ok no information good very good ? tested Devices URL Link Link Android 2.2 and newer, iOS 4 & 5. ? getting started Link Link Link Link ? I chose Mixing decided, which gecodet well, but less well documented is. Is it very easy to own data or Wikipedia to put data on the camera and simultaneously view the same data as on Google Maps markers. Toast: When the crash occurs, ACRA displays a toast and simultaneously sends the report. Notification: An optional toast is displayed on application crash, but the report is not sent immediately. A status bar notification is published warning the user that he should send a report. When selected, the notification displays a dialog asking for the authorization to send the report, with an optional user comment. Dialogue: since 4.3.0b1, experimental, allows to display a crash dialog without the need of a status bar notification. Status Code 403, AWS Request ID:.... RequestTimeTooSkewed The difference between the request time and the current time is too large. Manually place it helps the clock on the phone, Amazon otherwise because of a too old request originates and blocks, when the time differs by more than 15minutes from the Amazon Time. Unfortunately there is no other solution to support Amazon page: siehe Thread. Thus, the SDK files are installed correctly, must SDK Manager.exe be started as administrator: Right-click on the file and Run as administrator. If one wants to put his hard ercodete app in the Google Play Market has to perform a few simple steps. In comparison to the recording process in the Apple App Store, these mainly involve little effort. Creating a Developer Accounts for Play Market. There must be a one-time fee of 25$ be paid, however, necessarily with a Google Checkout account, the one with a credit card (e.g. : Visa) must connect. Google Play akzeptiert keine mit dem Debug-Zertifikat signierten APK-Dateien. Erstellen Sie ein neues Zertifikat, das mindestens 50 Jahre gültig ist. According to the book (Chapter 4):&nbsp; “Clean Code – Refactoring, Patterns, Testing and techniques for clean code” of Robert C. Martin. The use of comments “our inability to balancing, clear to us in our code to express”(S.85). Before writing a comment, one should consider before, whether the code can not be further written expressive. The Huawei Ideos X3 (U8510 Blaze) is the very affordable entry level Android phone for programmers and students (< 100€). Always begin with the USB driver will be installed. These are stored on the phone. A very good guide can be found here. Alternatively, you can also easily download the driver and install: Download. ->Log level setting, verbose select. Your Huawei Ideos X3 is ready debugging information and detailed error messages to their IDE (Eclipse) to send. 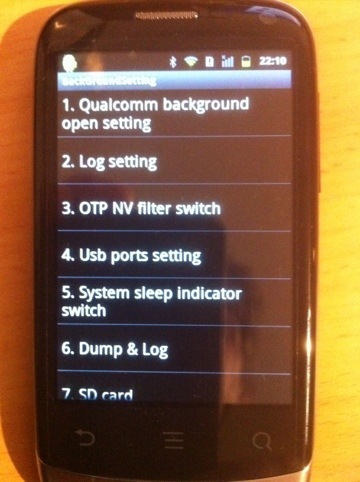 To Testing for high-end Android devices: Read: Samsung S2 Galayx Debugging. The highly recommended standard work on the subject is “Clean Code – Refactoring, Patterns, Testing and techniques for clean code” of Robert C. Martin. In this article, chapter 1 to 3 treated. The name of a variable, Function or class should declare immediately, why you exist, what it does and how it is used. If a variable requires a Comment, It expresses not its purpose. No constructs with unclear abbreviations as: int daSiCre instead of daysSinceCreation. Modern IDEs make searching easy, but it's no, when you have to look for the letters e and a control variable is swamped by results. Variable names with a letter must only be used as local variables in short methods.